Matt began studying classical guitar at the Royal Conservatory at age 16. After moving to Montreal in 1998 he switched his focus to jazz studies and completed a BMUS in jazz guitar performance at McGill University. While attending school Matt maintained a busy performance schedule of 200 shows per year in and around Montreal and performed throughout central Canada as part of McGill's recruiting program. After completing his undergrad degree Matt was awarded a full Graduate Assistantship to study at Western Michigan University where he recently completed his MMUS in Jazz Performance. Matt is currently on faculty at Western Illinois University where he teaches applied Undergraduate and Graduate jazz and classical guitar, classroom guitar, directs the guitar ensemble and performs in the Hopper Faculty Jazztet. 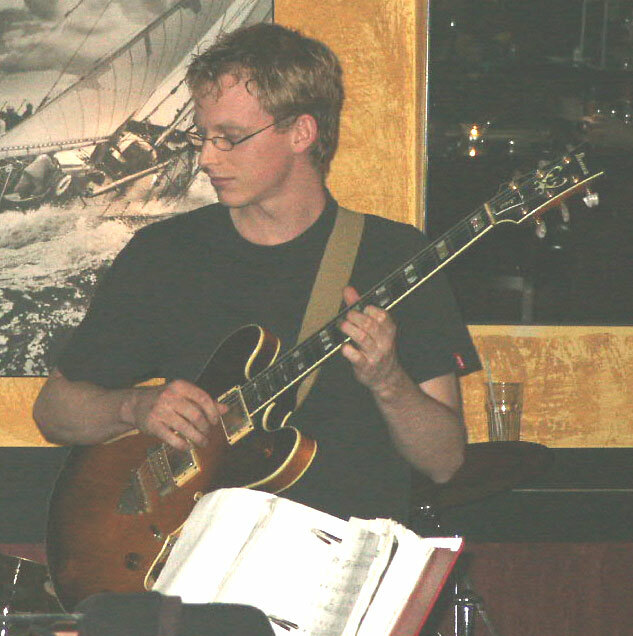 Matt began pursuing a DMA program in Jazz Performance at the University of Illinois in 2005 where he teaches Undergrad and Graduate studio jazz guitar lessons and coaches the jazz guitar ensemble. He also teaches at the Illinois Youth Summer Music Camp at UIUC. Throughout his busy performing career Matt has also maintained a steady studio of both Jazz and Classical students ranging in levels from beginners to Masters students. Matt's students have gone on to study at WMU, Northern Illinois, Illinois and Western Illinois University. Matt has studied privately with Fred Hersch, Tom Knific, Gene Bertoncini, Jack Grassell, Roddy Ellias, Chip McNeill, Nick Ditomasso and Billy Hart and participated in master classes with Ben Monder, Jim McNeeley, Joe Diorio, David Liebman, Elliane Ellias, Michelle Lattimer, Marc Johnson, and Theo Bleckmann. Matt has shared the stage with the likes of Slide Hampton, Darmon Meador, Jim Pugh, Jim McNeeley, Chip McNeill, Tom Warrington, Walter Van de Leur, Randy Brecker, Joel Spencer, Stefon Harris and comedian Rich Little, and has performed in 6 countries on 2 continents. He also performed at the 2004 and 2006 IAJE conferences and at Alice Tulley hall in the Lincoln Center New York in 2004. As well as performing in jazz groups Matt has performed classical works written for guitar and orchestra conducted by Alan Torok and Erik Lund. Several of Matt's groups have been awarded Down Beat student awards including outstanding big band, for which Matt was a featured soloist, and best vocal jazz group, for which Matt was musical director and featured soloist. As well as teaching and performing Matt writes reviews for the world renowned Just Jazz Guitar magazine and has co-authored a transcription book entitled East Coast Love Affair the Kurt Rosenwinkel Solos which will be out in publication in early 2006.